Houses & Homes VA: Can hypnosis give you the business edge you need? Can hypnosis give you the business edge you need? When most of us think of hypnosis we automatically envision someone whom is trying to quit smoking or lose weight. In reality hypnosis is used for many different reasons today, not the least of which is to help people succeed in business. 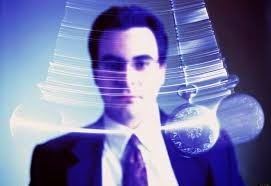 Proponents say that using the proper hypnotic technique can help one to achieve the required mindset to succeed in today’s ultra competitive world. Whether you are running your own business or want to climb the corporate ladder having the proper attitude is everything. Many people believe that this can be much more easily achieved using hypnosis as a tool to develop the right frame of mind. One specific method used is known as “visualization”. This is a technique in which the subject is taught to create the desired result in their mind before it actually occurs. In other words to “believe” that something is true even though it hasn’t actually happened yet. It is believed that this will greatly increase the motivation needed to overcome obstacles and make the desire a reality. One example of this might be to help someone whom is uncomfortable making presentations to clients or large groups of people. Theoretically, using the proper self visualization techniques will allow you to convince your mind that you have already done this many times before and it will become an actual “experience”. This will alleviate the anxiety or nervousness that you experience when giving a presentation because you will “believe” that you have already become comfortable when speaking. So, does all of this really work? Many people say that they have used hypnosis to achieve different goals in both their business and personal lives although it doesn’t work for everyone. Some people simply cannot be hypnotized while others find that the “sessions” don’t quite have the results that they are hoping for. But for many, hypnosis does change their mental outlook and provides them with the competitive advantages they need to succeed. The uses for hypnosis are limited only by one’s imagination and whether you believe this type of approach would be helpful to you or not, it is becoming increasingly popular in the world of business today.